A Thunder Bay group collecting warm clothing for kids in Attawapiskat received so many donations it had to change its transportation plans. A Thunder Bay group collecting warm clothing for kids in Attawapiskat received so many donations, it had to change its transportation plans. Organizer Joyce Hunter said people responded to the images of cold, cramped homes they saw on television. "Nice new slippers and things like that were donated," she said. "Things that definitely would be welcomed and definitely are very much needed." Hunter said the 145 boxes of donations wouldn't fit on the truck they arranged, but a Thunder Bay company donated a trailer. A local couple hitched it to their car and will drive it to Timmins. 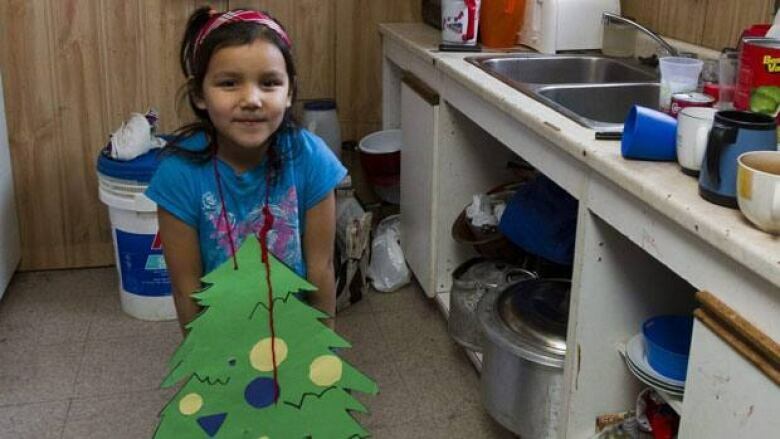 From there, a plane will take the goods to Attawapiskat in time for Christmas. In addition to a shipment of homey comforts, a special Christmas concert will take place in Attawapiskat to help raise the spirits of residents. Metis actor and singer Tom Jackson will put on a show at the Attawapiskat community gym Wednesday evening. Jackson said he's been deeply touched by the housing crisis in Attawapiskat and he wants to bring some Christmas cheer to the community. He said he’s also bringing 100 turkeys, 7,000 lbs of dry goods, gift cards for kids worth $12,000 and 300 Christmas CDs. The food and gifts come from a long list of corporate donors. Two northern food banks also contributed.